Summer season = Weekend getaway to the beach with friends and family. But until that weekend comes I am wearing my Helen Ficalora scallop shell charm necklace. I discovered Helen Ficalora recently and I am already in love. The simple and timeless pieces goes well with any outfit. I have worn this necklace every day since I receive it, I love the simplicity of the design it adds to your look and not take anything aways from your outfit. It is also the perfect gift for graduations or birthdays or just because for your loved ones. 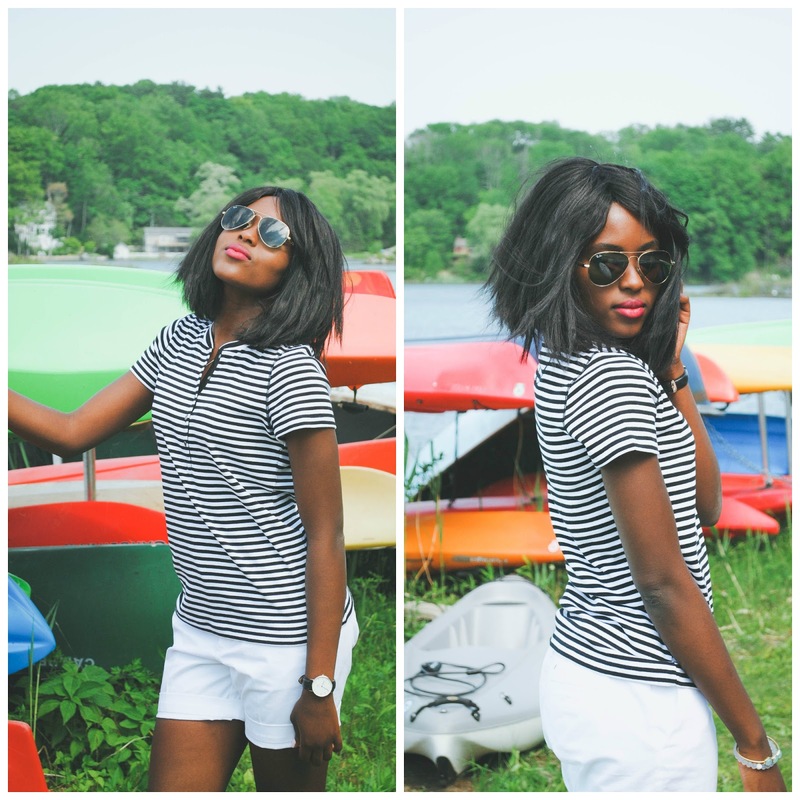 Nautical looks are always a favorite of mine! You look fabulous! Such a cute post and such a cute you! Simple yet cool.. looking great! What a great outfit! I'm totally obsessed with stripes, and I'm loving this shirt. Such a cute summer look! Love your top and Ray Bans! I love this look! Nautical stripes are so classic and timeless. You've put it together amazingly. I especially love the water and canoes in to background of your shoot. Great job! Your photos are always so fun. I love the stripes on you. I'm in love with anything nautical-ish, pretty look!